Thule is a trusted Swedish manufacturer of outdoor gear, including high-quality bike racks. The company has been around since 1942. Clearly, Thule has a proven track record. This is why choosing a bike rack from Thule will be a wise decision. Thule is a bike rack brand that really delivers for consumers. Today, we’d like to share some information about five of the best Thule bike racks. 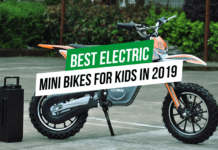 These designs have different features and price points, so one of the top-rated, best-selling bike racks on our list is bound to meet your needs and budget. A bike rack should be safe and strong and it should be simple to use. Thule bike racks that we are going to showcase today really fit the bill. Before you buy a new bike rack, you should consider your needs carefully. Think about anticipated frequency of usage: are you planning on using the bike rack a lot or just once in a while? Without further ado, let’s look at a group of hitch bike racks that offer amazing performance for fair prices. Four comes from Thule. We’ve added one bike rack from SportRack brand, because it’s a great option for those who don’t have a lot of money to spend on bicycle racks. If you want to add a bike rack to your vehicle without need of any additional tools, you’ll love the Thule T2 Pro Bike Rack. Its “auto attach” feature means that it’s just so simple to install and remove this bike rack! In addition to fast and convenient, tool-free installation, this model comes with a “hitch switch” lever which tilts the rack up when it’s not being used. It also tilts the rack down in order to open up access to the back of the vehicle. This platform hitch-style carrier for bikes features a ratcheting arm which is frame-free. The ratcheting arm will secure a bike fast without contact with the frame. This bike rack is suitable for wheels which range in size from 20″ to 29″ and it will also work for “fat” bicycles with tires of 5″ (and hub spacing up to 5.5″). When you select this best-selling style, it will include a cable lock which is integrated, as well as a lock knob. The cable lock and lock knob will lock your bicycles to the rack and also hold the rack onto the receiver. This classic and beloved bike rack features a “SecureHook” with a cable lock that is integrated. The SecureHook will secure a bicycle without making contact with the frame. As well, this style comes with a “Hitch Switch” lever. This lever will fold and store the platform when it isn’t needed, or tilt downward in order to make it simple for you to access the rear side of your vehicle. 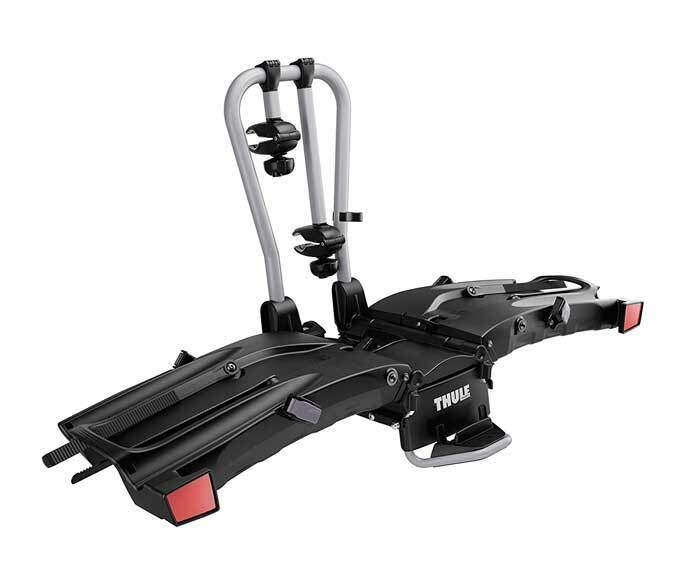 Also, the Thule T2 Original Bike Rack is equipped with a reinforced tray. It provides plenty of strength and won’t rust. Another great feature of this popular bike rack from Thule is its wheel strap, which is adjustable. The strap will allow you to secure the back wheel to the tray in no time flat! This bike rack is designed to hold a couple of bicycles, via the one-and-a-quarter inch or two-inch hitch receivers on vehicles. If you want to ensure that your bikes don’t make contact during transport, you’ll like this model, as it features wheel trays which slide independently on platforms. The wheel trays stop bikes from scratching. Also, the wheel trays are reinforced, so they are durable and guarantees ultra stability. The Thule 990XT Doubletrack Bike Rack also features a ratcheting wheel strap which allows fast securing of the wheel trays. Loaded with practical features, this affordable bike rack comes with a “hitch switch” lever, which makes it possible to fold and store the rack platform when it isn’t being utilized. This bike rack isn’t the best choice for trailers or other types of towed vehicles. This style is one of Thule’s “high end” bike racks and it delivers plenty of quality for the price. 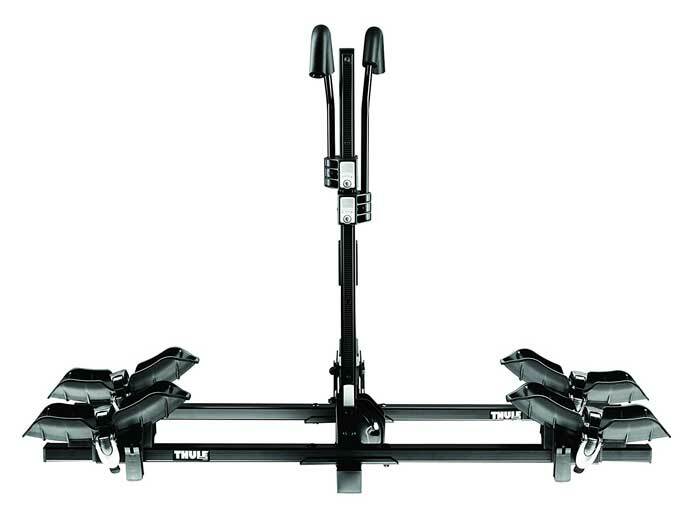 The Thule 9032 EasyFold Carrier is completely foldable for convenient storage, handling and mounting. Also, this model has a high load capacity. 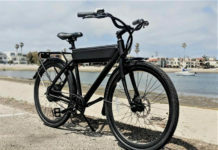 The bike rack will handle the weight of two 66 lbs bicycles or E-bikes. 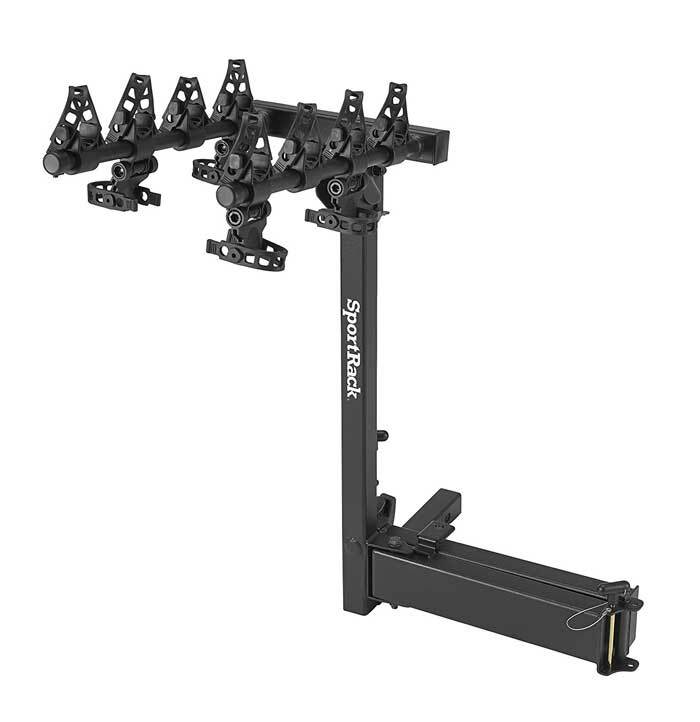 9032 EasyFold Carrier comes with a receiver lock (Snug-Tite) which stops almost all hitch rack movement within the receiver. It also secures the hitch rack to the vehicle. The last bike rack on our list of hot picks doesn’t come from Thule. It’s made by SportRack and this is another great bicycle rack manufacturer. We’re including this model because it’s really affordable and has excellent customer reviews. If you are considering an economy bike rack, you’ll find that this one offers a lot of quality, without busting your budget. The SportRack Ridge Swing 4 Hanging Hitch Bike Carrier is designed to wing away from a vehicle in order to grant full access. Also, it is equipped with supple cradles. These rubber cradles resist swaying and they stop bikes from making contact with one another while they are in transit. As well, this bike rack has arms which fold downward when they aren’t being used. Crafted from tough steel, this bike rack works only with 2″ receivers. 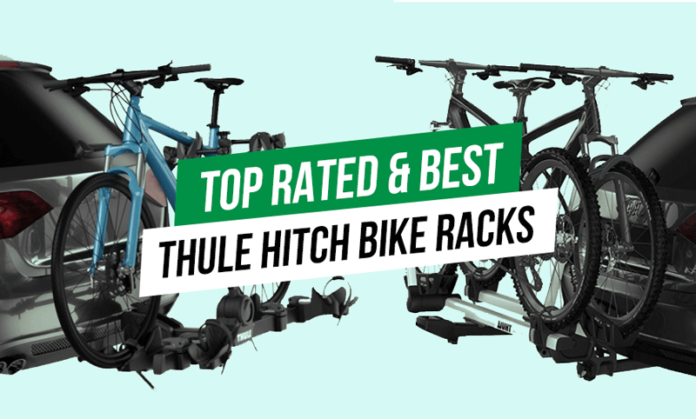 We hope that you’ve enjoyed this detailed guide to Thule hitch bike racks…and one budget-friendly bike rack from SportRack. 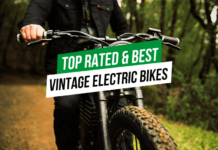 Now that you know some sensible styles, from basic and affordable to mid-range to high-end, you’ll be ready to choose a new bike rack which suits your needs and has the right price point. Prices for these styles will vary. We recommend looking around in order to find a great deal. In our opinion, Amazon is the best place to buy these racks. Be sure to read all instructions for installing and using your preferred bike rack before you install it. Designed to be safe and secure, as well as user-friendly, the five hitch bike racks on our list are smart purchases…so why not order one of them today?